Normally, I despise a MC this dense, but here I can't help but feel like his denseness is keeping the world from being destroyed. I also appreciate that half the story (?) thus far has been him going around and patting cute girls. Can't help but look forward to more! I'd been extremely hopeful given all the positive reviews this series has, and the translation appears to be great (I can't read Japanese so I can only assume) - but I was ultimately disappointed by this series. This is one underrated story. Why? Because people dropped it in the first 3 chapters that's been translated by that meowmeow maniac. If you want to have the serious translation start reading from Daoist. 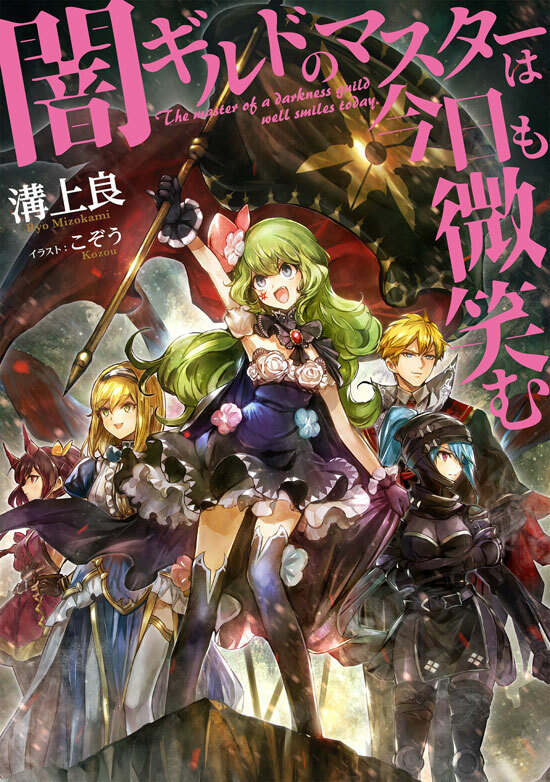 Although it resembles overlord a bit it has a unique charm that would make you want to continue reading it. But if you're not a fan of mildly dark novels I can't blame you. Not bad, it's pretty much just a story about a lot of girls who couldn't possible love the MC more fighting eachother and protecting their master from everything and anything. Even though they know he's super OP, they won't even allow anyone to get close to him. The MC is a super old human easily quite a bit above 100 years old and with extreme powers. However, he's also ridiculously dense when it comes to his "daughters" and even his own powers. He seems to believe himself to be quite weak,... more>> at least far weaker than the girls who are extremely powerful. The girls, on the other hand, seems to know of his real prowess and that he's far more powerful than they are. So, he's just sitting around being protected by the girls while not even being that concerned with anything, the girls won't even let him go out on jobs. I didnt like this. You are thrown into the story without any background. I read up to 15 chapters, and it is literally all the guild members fawning over the master, and the master not wanting to understand. If you're into those things with zero world building, and ZERO background, by all means go for it. But this isnt for me. All you really know is their name, some character attributes and that they are all OP. Nothing progresses. Too early to make an substantial opinion on the story but has started out very nicely. I am interested to see how the interaction between the various yandere characters will play out, and I sincerely hope that the grade of this novel won't fall after the initial disturbingly cute factor has worn off. Although the first translators "meows" were a little annoying, I find it hardly fair to judge the story and translator by such an addition. "Daoist", the second translating group has laid off on using "meows" and the translation... more>> flows fairly well, with little to no obvious grammatical or usage errors. I just wish that the translations would go faster so I can read the rest of the story. As can be discerned from the synopsis and the tags, the story is about a guildmaster and his yandere guild members, all of whom are girls. The guildmaster's charm might seem a little off putting, especially since no reasoning has been given to why he's so attractive, however the guildmaster looks to be super dense so any romantic portion of the story might take a while. This slice of life novel satisfies my power fantasy itch. For me, it was more like slice of life rather than shounen. You see the daily interactions of guild members and MC, while guild members want to give the MC the world. Each story arcs are centered around one of the guild members and a bit of character development. The ending is satisfying. Furthermore, each character arc teased good backstory i.e. How MC and each of the guild members first met, which the author is currently now righting. I await character... more>> development of this new arcs.